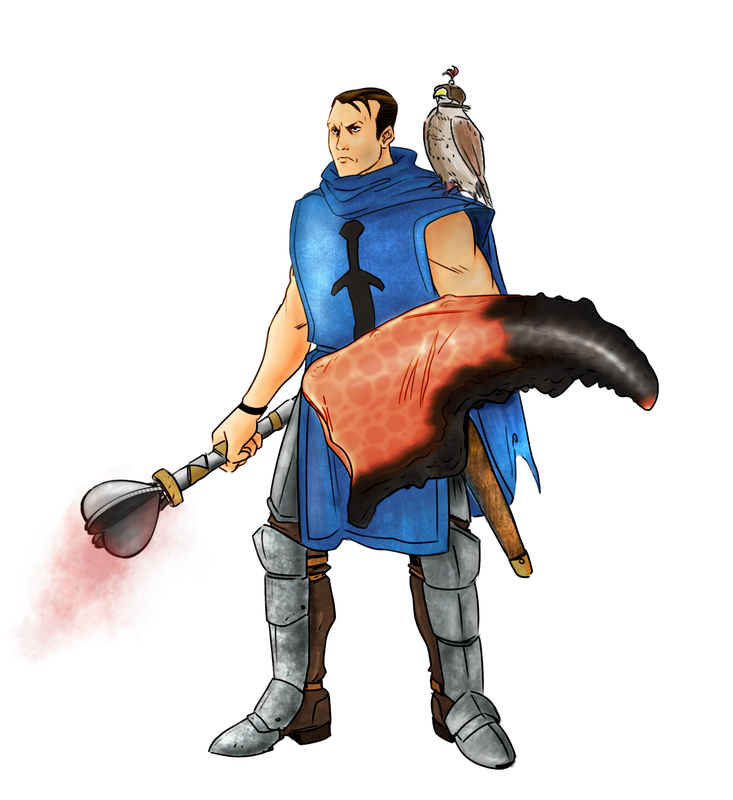 A former bodyguard from Tor Hea, he spent the early part of his career in the service of a rich duke. That job ended in tragedy, and sent Dante on a quest that makes him question his role as a body guard and his reason for existing. The loss of his employer meant his life a body guard was done, and he felt he could no longer stay in Tor Hea. 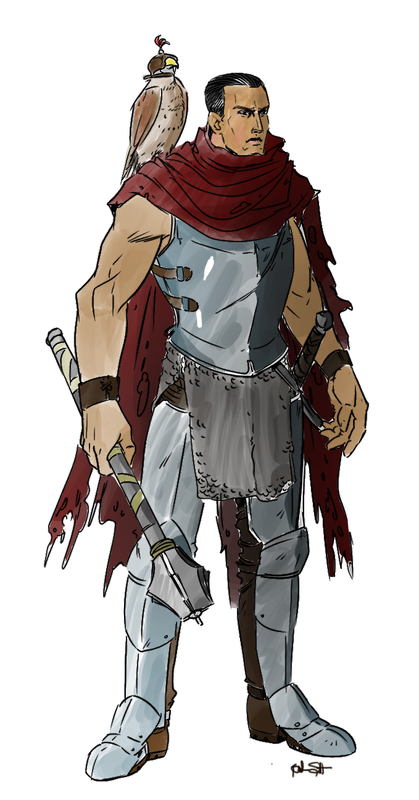 An expert in shield and one handed weaponry Dante has had no difficulty finding work around Helan-Skaa, but he has not found answers to the questions which plague him at all times. He has travelled to Vanamoor Fort looking for work, and hoping that he may find some thread to follow about the men who killed his master. Grot is a creature of darkness, both literally and figuratively. 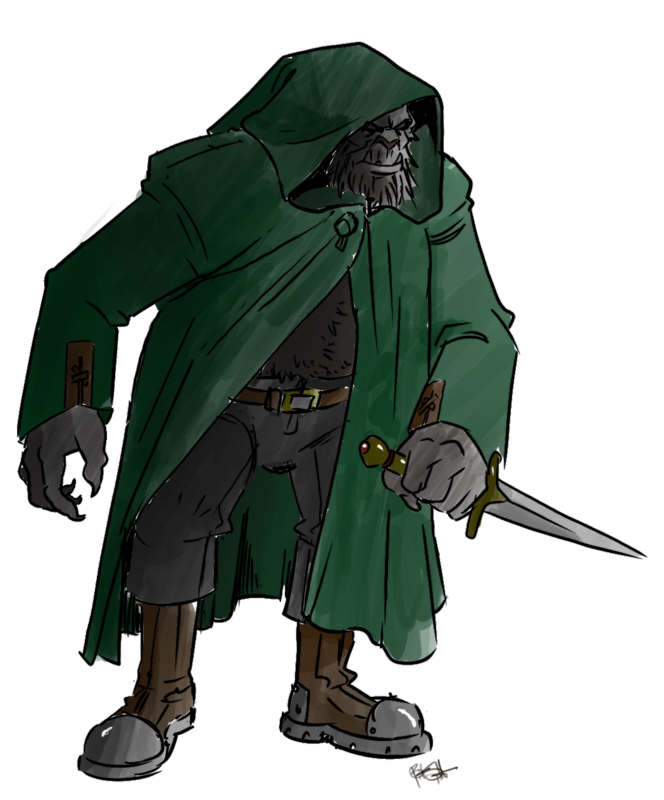 As a 6’6 BugBear it might be hard to imagine Grot as a beast of subtlety, but with his surprising speed and intimate knowledge of the streets Grot is more than capable of appearing out of the night like a deadly shadow. His upbringing on the streets of Vanamoor have made him cruel and lethal, and he soon garnered the attention of a criminal element in the town. His ability to quickly and silently dispatch rival gang leaders saw him find a niche in the market as a bounty hunter beyond the law. 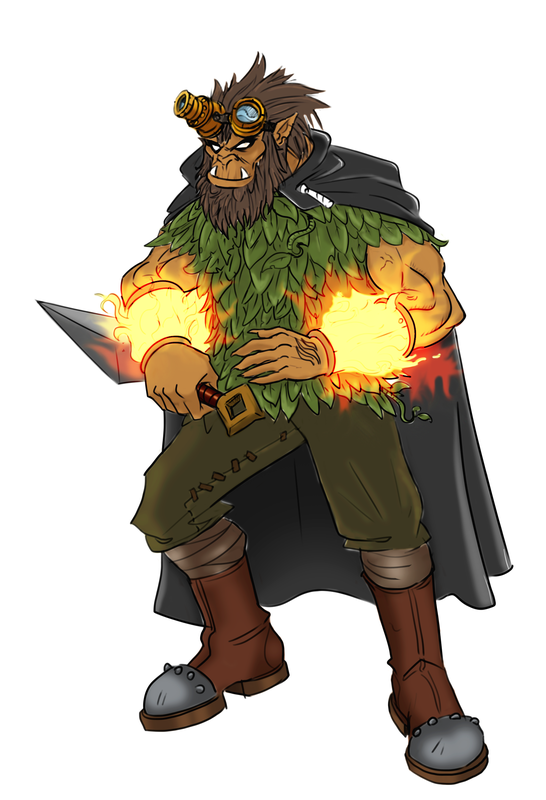 Over time the Duke became reliant on Grot’s unique skill set and has since put Grot as a more full time hired killer, and the towns executioner. Grot takes great pride in his work, and if the Duke gives him an opportunity to use his blades Grot will happily accept that invitation. 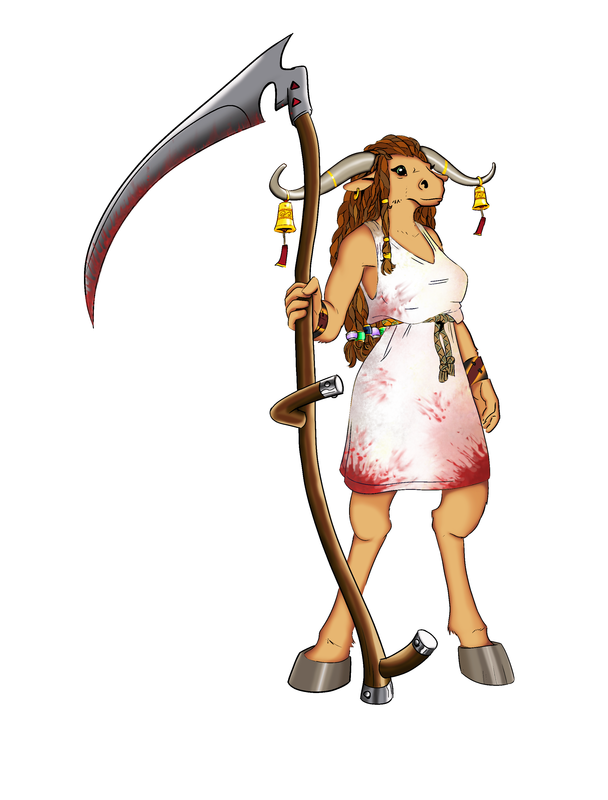 Rhagesh the Gardener was a Priestess of Melora in the town of Klippstone. She had a flock of people who listened avidly to her every word. However Rhagesh always new there was a problem in the Sohu Peninsula, she could tell that the world was being damaged, but she didn’t know how. After years of research Rhagesh believed that the problem was emminating from somewhere near the Quarries of the West, however on her own she felt she would never be able to deal with this issue. When she met Grot she immediately realised that he was the key to finally getting to source of the issue and investigating her theory. A powerful warrior in her own right with two adventurers by her side surely she could take down the whatever evil was hidden in this barren land. Lady Silver Claw is a classy and well respected criminal, overseeing all operations of Sohu Peninsula’s black market. Hugely wealthy, and hugely knowledgeable about the inhabitants that live there. Obviously she is well protected in her underground lair, and huge numbers of guards are employed to keep her safe. 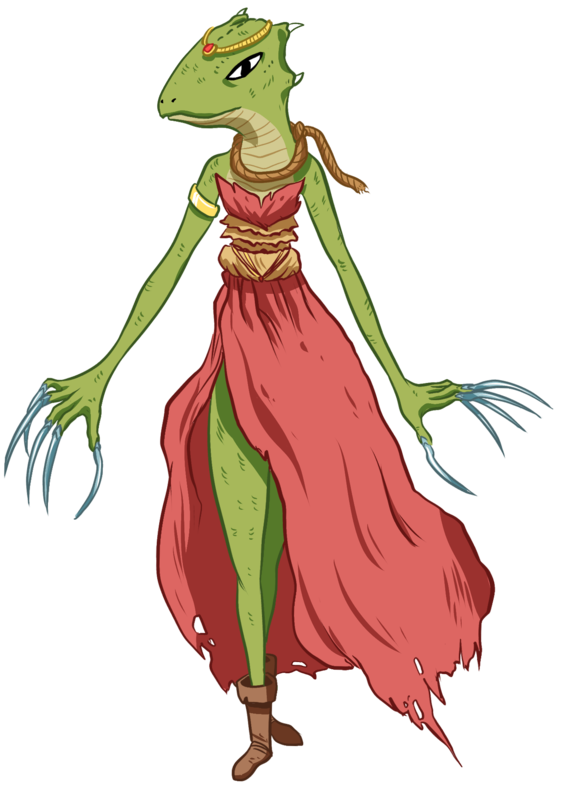 Though she lives in an apparently impenetrable fortress she is an incredibly suspicious creature, and one who takes any threat against her safety incredibly seriously. Betray the Lady at your peril.